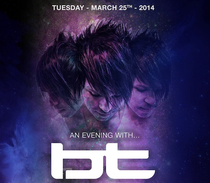 With the continuous announcements of parties that make up Winter Music Conference and Miami Music Week, an expected favourite could well be the forthcoming An Evening With BT, taking place at Rokbar on Collins Ave on 25 March from 10PM - 5AM. 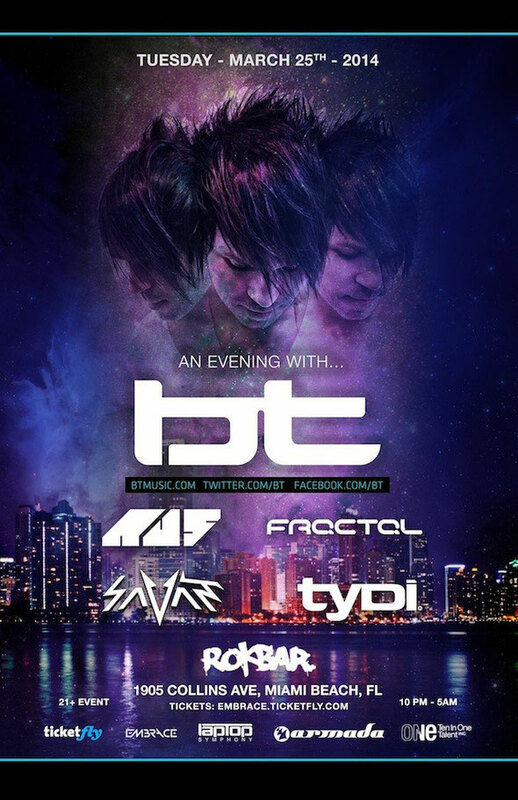 Accompanied by BT protégées Au5 and Fractal, dubstep / complextro artist Savant and Australia's DJ tyDi, the party will see one a diverse lineup hitting South Beach this month. Those in attendance should expect trance, bass music, electro and house for the seven-hour event. After 2013's #1 iTunes and Beatport Dance album ‘A Song Across Wires’, BT recently announced a new rhythm composition software called Breaktweaker with his partners at iZotope and hosted the NAMM Foundation's TEC Awards in January in Anaheim. At the end of February came the release of his latest single ‘Letting Go,’ a collaboration with JES and Fractal that reached the #2 spot on Beatport's trance chart and was accompanied by an video filled with time lapse photography shot in various locations on the Pacific Ocean.